The company's online office software organizes calendars, contacts and presentations, and even lets paying customers do e-mail marketing. The site, which offers both a free version and a fee-based professional version, claims more than 50,000 users. 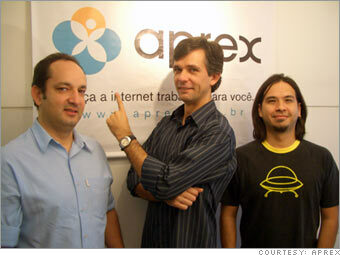 Although the services are available only in English and Portuguese, Aprex plans to add 3 more languages this year.